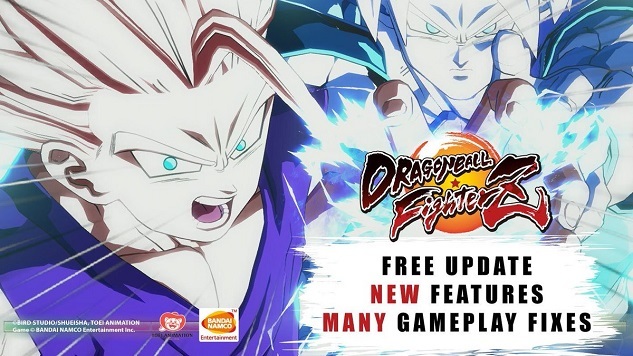 Dragon Ball FighterZ, the game beloved by Dragon Ball and fighting game fans alike, added Party Battle and FighterZ Cup mode in a free update last week, on May 9. The first Party Battle event arrives today on PlayStation 4, Xbox One and PC, according to Bandai Namco. Bandai Namco announced the new modes and details of the event in a video featuring game producer Tomoko Hiroki. Party Battle is a new mode that adds co-op to the game, allowing three players to form a team to take on powerful challengers. Meanwhile, the FighterZ Cup is a competition allowing players to fight and collect points for their Z Union, increasing their rank. Starting today, May 18, and ending on May 21, “The Emperor Strikes Back” event pits players against the mighty Frieza. Frieza will show up multiple time throughout the event, and the number of enemies defeated is linked across the world. Other updates to the game balance a few of the characters and game modes, including replay and combo attack mode. You can check out the full list of updates on Bandai Namco’s website. Dragon Ball FighterZ released in January, setting the fighting game community ablaze, and receiving praise from both fans and critics. The game has since gone on to lead the top number of entrants at EVO 2018, add numerous extra characters through DLC, and win the hearts of certain Paste staffers. Watch the Dragon Ball FighterZ Party Battle Mode trailer below.